The Raspberry PI is a credit card-sized computer boasting low-power consumption and great capabilities. With its simplicity and low price it has created a new type of “computers” and accelerated the Internet of Things. This is probably the first question we need to answer in order to get a better understanding of our little friend. Simply put: the Raspberry PI is a computer, a very small one in fact. It can do almost everything a modern computer can, but don’t start dreaming. The PI isn’t really powerful and it has never been its focus. The real purpose the PI was invented to fulfill is education. The original PI was designed to offer a low-power and low-cost platform that could run a modern operating system to teach children computer programming. The PI lived up to the expectations but it also evolved to be much more. What can a Raspberry PI do? As you can see there are many, and many more, some updated, some not. To get a glance head over to the official downloads page. The Raspberry PI is an incredible product developed by the Raspberry PI foundation in the United Kingdom. One of the interesting things about the project is that it doesn’t only embrace Open Source but it takes it to the next step: Open Hardware. Open hardware means that you can take a look at the projects and schemas used to realize the Raspberry PI. This has created the possibility for others to create similar products like the Banana PI. One of the most common question is: “Should I buy a Raspberry or an Arduino?”. Well that’s like asking: cars or motorcycles? The answer is: it depends. The Raspberry Pi has more features, it runs an entire operating system whilst Arduino does not (except for some models). However, that doesn’t directly translates to “Raspberry is better than Arduino”. Arduino excels in analogical applications and its programming resembles PLC programming whilst Raspberry takes a “higher-level” approach. Many times, projects employ both Arduino and Pi rather than choosing one or the other. The entire first family shares the ARMv6 architecture and the Broadcom BCM2835 SoC. They also all have hdmi and rca output. And every model has a Broadcom VideoCore IV GPU with memory shared between CPU and GPU; and a audio jack output. Model A: The lower-spec model with 256MB of RAM, 1 USB port, SD card slot and 26 GPIO pins. It has been superseded by Model A+. Model A+: The final review of model A. It has 512MB of RAM, 1 USB port, MicroSD card slot and 40 GPIO Pins. Model B: The higher-spec model with 512MB of RAM, 2 USB Ports, 1 Ethernet Port, SD card slot and 26 GPIO pins. It has been superseded by Model B+. Model B+: The final review of Model B. It has 512MB of RAM, 4 USB Ports, 1 Ethernet, MicroSD card slot and 40 GPIO pins. This model also boasted lower consumption compared to its predecessor. It has been superseded by Pi 2 Model B.
Pi 2 Model B: The Pi 2 was a huge step forward. The SoC had been replaced with Broadcom BCM2836 thus the architecture switched to ARMv7 and the ram was bumped to 1GB. 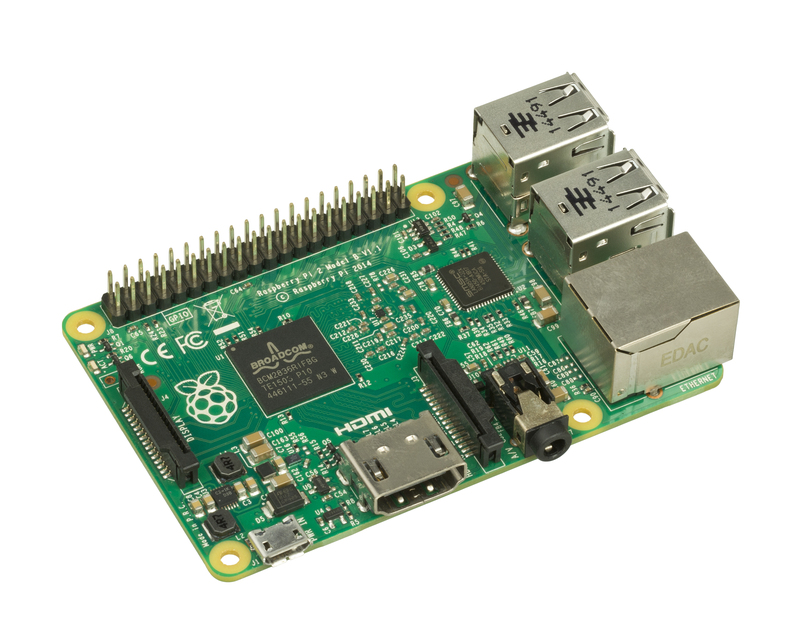 The Pi 2 switched to a quad-core cpu and could even run Windows IoT. The SD card has been entirely ditched in favour of Micro SD. Pi 3 Model B: The Pi 3 is the new kid in town, it uses the Broadcom BCM2837 with ARMv8 architecture (switching to 64bit). It also features on-board wi-fi (802.11n) and Bluetooth 4 and Bluetooth Low Energy. Pi Zero: is a relatively new model that features the same specs of Model A+ but with half the size. The GPIO interfaces don’t have pins, instead they are “unpopulated headers”. It also has 1 Micro-USB port and 1 Micro-HDMI port in stead of their larger variants. The IT guy with a little boredom look in his eyes, fond of computers since forever he now works as a freelancer in the IT and shares his experiences through this blog. Previous story Linux: what is fstab and how do I use it?